Are you searching for the best convertible car seat for your baby? We know that finding the right car seat can be difficult. That’s because there are different types of car seats available including infant car seats, convertible car seats, and booster seats. Which type of seat you buy will depend on your child’s age and size. Once you find the right seat for yourself and your child you will need to know how to properly install the car seat and know when the time is right for your child to graduate to the next type of seat as your child grows. Well, Tot On Board can help you out with your search. We have reviewed the best seats available and also provide NHTSA ratings so you will not need to visit multiple sites to get the important information you are seeking. This site will provide you with the complete information on these seats, their key features and safety benefits. Combined with the reviews, you will find the Ultimate Comparison Guide, which is our advanced comparison chart to help compare convertible seats and decide on the best one for your baby’s comfort and safety. 4.0.1 What is an Infant Car Seat? 4.0.2 What is a Convertible Car Seat? 4.0.3 What is a Booster Seat? 5.0.1 Is It A Good Idea To Go Directly From Using An Infant Car Seat To A Booster Seat? 5.0.2 What Is The Best Convertible Car Seat? 5.0.3 What Is The Safest Convertible Car Seat? 5.0.4 What Do Those NHTSA Ratings Really Mean? 5.0.5 Do Car Seats Have Expiration Dates? 5.0.6 Why Do Car Seats Expire? 5.0.7 How Do I Dispose Of My Car Seat? 5.0.8 Can I Recycle My Old Car Seat? 5.0.9 How Many Years Of Use Can I Expect To Get From My Convertible Car Seat? 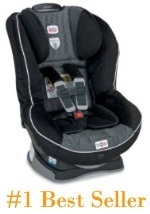 5.0.10 What Is The Advantage Of Buying The Newest Car Seat Models? 5.0.11 How Do I Know If My Car Seat Is Installed Correctly? The newest convertible car seats of 2015 are specially engineered to protect your kid’s safety while driving. This Britax Pavilion G4 is made out of 100% polyester. It is designed using safe cell technology that gets compressed during a crash and automatically lowers the center of gravity which in return moves your child’s seat forward and normally propels the child towards the front side. This stylish and safety car seat would not only enhance the feel of a long drive, but also secures your child’s life. For its various key features, amazing safety benefits, positive user reviews and ratings from users and NHTSA ratings, this seat has been rated number one on our site. The base of the car seat is designed using safe cell technology. It comes with a two point attachments that minimizes the rotation of the seat which is energy absorbing. It comes with a side impact protection that is compressed with wall lines with energy absorbing foam that acts as a shield. The car seat is distributed with tangle free five point harness that is placed across the strongest parts and gives a perfect and secure fit. The car seat is protected with a unique harness called harness ultra guard system that provides resistance while moving forward even during a crash. 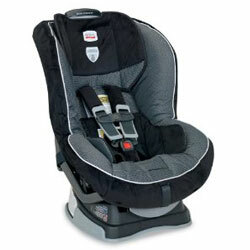 The Britax Pavilion G4 car seat can carry a weight up to 65 pounds safely and comfortably. The rear and front facing recline are designed for proper positioning and safety. The foam is made using high density foam that gives extra padding and cushion effect. To add extra comfort the car seat is provided with plush and easy to remove cover that can be matched with the comfort pads for more comfort and safety. The maintenance and cleaning of car seat makes it more comfortable and easy to use. The process is very simple and easy to access as it does not have any specific installation or dissembling process separately for the child seat. Britax Pavilion G4 comes with a two buckle positioning that can be used even after the child grows older. There is a special option provided for infant to position them that give a snug fit and hold the child. It is quite easy to adjust and re-position the harness according to the height you require or your shoulder. The provision to lock the car seats is provided that ensures snug lap and shoulder belt. This model comes with a head and body pillow that adds extra comfort. The cup holder and storage pouch is attached to the sides of the car seat to store water bottle, cold drinks and others adds value to the seat. This car seat is made using integrated steel bars that add strength to the connection of the vehicle and helps in reducing the movement of the child seat during a crash. Britax Pavilion G4 car seat is a special edition that is designed with safety giving its first preference included the anti slip and control base grip that adds more safety to your car seat and gives an optimum lift to your vehicle when required. The harness holder holds the strap tight enough that the child is protected from falling or slipping from the car seat. To sum up about the Britax Pavilion G4, it is one of the best car seats of 2015 that are specially designed for safety and comfort. This car seat can be used by one and all of any age that comes at a very affordable price and easy installation process. The seat comes fully assembled and it is easy to install which means no extra installation of head rest or kick bars. It is slim, stylish and comfortable for toddlers. It’s price is justified by the high quality you are getting for this premium product. It’s quite fashionable and it is made in Italy which really says a lot about its high quality and style. The seat fits well even in small cars such as a mini cooper even during rear facing. The seat itself is not too big or too small, it’s a perfect fit for any car. It can be installed with the common seat belts you have in your vehicle, or with the latch system. Accidents happen without any warning and this premium car seat is designed with the child’s safety in mind. This seat is the safest in its class. Reversible is used when rear facing for babies weighing between 5 and 45 lbs and forward facing is for children weighing from 22 to 65 lbs. Adjustable latch connectors make it more stable and is quite easy to re-position for rear facing or forward facing installation. Removable Seat Cushion is made of washable fabric. It has a solid sturdy design and yet weighs in at 11 lbs and fits securely in the car’s back seat. It comes in various colors that suit the parent’s taste as well as the toddler’s. The custom colors means you can match it to the toddler’s gender. This seat lets you adjust the side impact protection in place as your child grows in it. This means it envelops your baby in a unit that protects the head as well as head and neck. The base is well rounded at the edges so it won’t dig into the car seat’s fabric. Side Impact Protection System (SIPS) protects baby’s head, neck and spine. It can easily adjust to 10 various positions, even while the child is in the seat, thus ensuring the best and safer fit. Energy absorbing foam, specifically Expanded Poly Styrene (EPS), in the seat’s shell and also the head panel does protect the baby’s head and torso from impact forces. Shock Absorbing Foam Element object located underneath the shell crumples upon impact, hence reducing stress on baby’s neck and shoulders in case of an accident. The straps that fit over that little one are wide and padded to provide not only safety, but also comfort. It’s made with soft fabric that does not overheat the baby. High temperatures are not ideal for small babies and make them very uncomfortable. The seat has a recline feature that does not allow the head to fall forward when the baby sleeps. This car seat is highly recommended for those mobile active parents who love to take their babies along with them. It is easy for regular use, easy to clean and will allow the baby to ride in safety, comfort and style. Peg Perego Premium seat might be a bit pricey but it is worth every penny. Diono RadianRXT is one of the best convertible plus booster car seats that will accommodate your children from the time they are born, till the time they grow up to fifty seven inches in height and attain a total of a hundred and twenty pounds. It has great and versatile designs and features that can easily be adjusted at will to suit ones needs. It ensures you with safety and the security of your child as these two things are the key priorities. This is ensured because of the premium materials used in manufacturing, such as EPS foam that are energy absorbing. Diono RadianRXT’s side walls are reinforced with aluminum and the frames are made of steel alloy. It also has an adjustable head-rest which keeps your child comfortable. It has five-point harness for security reasons. Additional comfort is provided by the memory foam. The five-point harness provides additional protection to your children reducing impact in case your child is seated while facing the forward side. The alloy steel alloy frame in Diono RadianRXT ensures a stable foundation. Not forgetting the EPS foam energy absorber that offers protections in case of side impact. The side walls that are reinforced with aluminum and have EPS foam to serve the purpose of protection and also reduce rotation of these seats in case there is an impact. Diono RadianRXT is capable of providing comfort and safety to your child. It is a versatile seat as it can fit in a variety of vehicles. The price range of RadianRXT falls under $300 which is a decent price for all the features it comes with. Due to so many positive reviews and safety standards, this seat stands on third position on our list. Children under the age of one should always ride in a rear-facing car seat that is properly installed in the back seat of the vehicle. In fact, the American Academy of Pediatrics recommends that children ride in a rear-facing car seat at least until they reach their second birthday, or until they outgrow their seat. That is because a rear-facing seat always gives the greatest protection to a small child’s delicate neck and spinal cord in the event of a collision. A rear-facing car seat can be one of two types: it can be either an infant car seat, or a convertible car seat. We will explain the differences between these two types of seats in the next section. You should only change to a forward-facing car seat when your child outgrows their rear-facing car seat. This means when your child reaches either the top weight or height limit according to the limit stated by the manufacturer it is time to either buy another rear-facing car seat that will accommodate a larger child or it is time to switch to a forward-facing car seat. The forward-facing car seat will be installed in the back seat with a harness and tether. When your child outgrows their forward-facing car seat it may be time to switch to a booster seat. Booster seats are for larger kids who are almost ready to use a regular adult seat belt. Just like rear-facing and forward-facing car seats, booster seats must only be placed in the back seat of your vehicle. In fact, you should keep your child in the back seat at least through the age of 12. You should keep you children in a booster seat as long as possible until they have grown sufficiently and are actually ready for an adult seat belt. If a child can sit all the way back in their seat, bend their knees naturally, and can place their feet flat on the vehicle floor then they should be able to safely graduate and use an adult seat belt. As already mentioned, there are three basic types of car seats available: infant car seats, convertible car seats, and booster seats. As the name implies, an infant car seat is made for newborns or very young children. Most infant car seats will accommodate children from about 5 to 22 pounds, though some may go up to about 30 pounds. Infant car seats can only be used in a rear-facing position and, of course, as discussed earlier can only be used in the back seat of your vehicle. 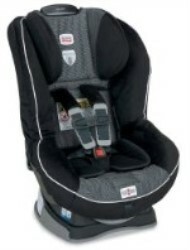 Many infant car seats are inexpensive and most cost under $100.00. Some parents like to start with an infant car seat and buy a convertible car seat later. One advantage of buying an infant car seat is that some models are stroller compatible meaning that you can attach the car seat directly unto the stroller base. On the downside, most babies will outgrow their infant car seats by the time they reach 8 or 9 months. 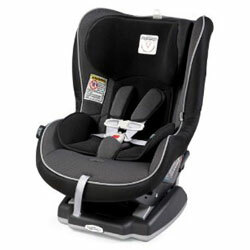 If you would like to shop for infant car seats here is a nice selection to choose from. A convertible car seat can be used in either a rear-facing or in a forward-facing position with a harness and tether, hence its name: convertible. Convertible car seats do cost more than an infant car seat but they have some big advantages. Most convertible car seats will accommodate children from about 5 to 65 pounds. As long as your child meets the minimum weight requirement, a convertible car seat is as safe to use for a newborn as is an infant car seat. You will find that most convertible car seats have a minimum weight requirement of only around 5 pounds. However a few models do have a minimum weight requirement as high as 14 pounds or so; so be sure to check before buying. Many convertible car seats can accommodate a child weighing up to 40 pounds in the rear-facing position, some can even go as high as 50 pounds, thus allowing your child to ride in the safer position for a longer period of time. Once they reach the maximum weight for the rear-facing position they can then switch to the forward-facing position and get several years more use. Typically MOST convertible car seats are designed to hold kids up to about 48 or 49 inches tall. What is a Booster Seat? Booster seats are for bigger kids who are almost, but not quite ready, to use an adult seat belt. Booster seats come in two main varieties. Both types will help the child sit higher so the seat belt will fit properly. Booster seats with high backs work best for vehicles that don’t have head rests or high seat backs. Backless booster seats work best for vehicles that have head rests. Is It A Good Idea To Go Directly From Using An Infant Car Seat To A Booster Seat? That would be a very unwise thing to do. Some parents may be tempted to buy a so called 3-in-1 car seat which is a type of booster seat that can accommodate a child from about 20 to 100 pounds. (Most regular booster seats have a recommended weight capacity of about 30 to 100 pounds or 40 to 100 pounds). Booster seats are designed for bigger kids. With a Booster seat your child can only ride in the forward-facing position. Remember, you want to keep your child riding in the safer rear-facing position for as long as possible. So to answer this question it is much wiser to buy a convertible car seat after your child has outgrown their infant car seat. Or you can just start with a convertible car seat for your newborn if your child meets the minimum recommeded weight for a convertible. (We are not suggesting that 3-in-1 car seats are unsafe. What we are saying it that your 20 or 30 pound infant will be much safer riding in the rear-facing position which only a convertible car seat can provide at that weight.) When shopping for a convertible car seat pay careful attention to the maximum weight allowed for the rear-facing position. Many will accommodate a child up to 40 pounds, or more, in the rear-facing position. What Is The Best Convertible Car Seat? The best convertible car seat is the one that works best for you and your child. Each person’s requirements may be different than someone else. The perfect car seat for one person may not suit somebody else. Please keep these three points in mind as you shop for a car seat. You will want a car seat that fits your child’s current size and age. The car seat you choose should be easy to install correctly every time you use it. The car seat must be the right fit for your vehicle. What Is The Safest Convertible Car Seat? Unfortunately, there is no answer to this important question. There are NO independent safety tests to determine that any one car seat is safer than another. You can be sure that any car seat sold by any major retailer in the United States meets NHTSA standards. This means that it has passed crash performance standards and it is safe to buy. But unfortunately there is no real way to know which car seats are the safest. What Do Those NHTSA Ratings Really Mean? We do refer to the NHTSA’s guidelines and ease of use ratings for the convertible car seats that we review on our site. (Actually, NHTSA uses two sets of ratings for convertible car seats: one set is for forward-facing and the other is for rear-facing. We usually provide the forward-facing ratings. Also NHTSA can be slow to update their site so many of the newer convertible car seats may not have published ratings as of yet). It is important that you, as a parent or caregiver, understand what these ratings really mean. NHTSA, or the National Highway Traffic Safety Administration is a federal agency in charge of highway safety. Although all car seats rated by NHTSA meet federal safety standards, some are rated easier to use than others. 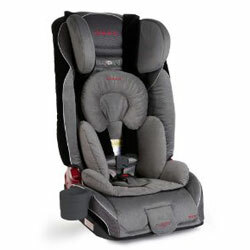 NHTSA rates car seats in four different areas: Evaluation of Labels, Evaluation of Instructions, Securing the Child, and Installation Features. Finally, NHTSA takes all of these ratings into consideration and comes up with an Overall Ease of Use Rating. It is important to note that the NHTSA ratings have nothing to do with the safety of the car seat. All of these car seats are safe. Remember, these ratings are Ease of Use ratings; meaning, how easy is each car seat to use. Evaluation of Labels. Each car seat has labels on it explaining how the car seat should be used. The Evaluation of Labels rates how clear these instructions are, and how easy they are to read. For example, are the labels located in a prominent place on the unit where they can easily be read and are the instructions in large easy to read print? Also, are the instructions clear and easy to understand? Evaluation of Instructions. Each car seat comes with an instruction manual. The Evaluation of Instructions rates the content and clarity of the instruction manual. Is the instruction manual easy to read and understand? Securing the Child. The Securing the Child rating tells you how easy it is to secure your child correctly in their car seat. Installation Features. The Installation Features rating refers to the car seat itself. It tells you how easy it is to install the car seat into a vehicle. Overall Ease of Use Rating. As already mentioned, NHTSA evaluates all of its four categories and then assigns an overall Ease of Use Rating for each car seat. Finally you may be asking yourself, why are these ratings relevant if they have nothing to do with safety? The answer to that question is simple. Any car seat is safe only if it is used properly. Britax, one of the leading car seat manufacturers, estimates that up to 75% of car seats are installed incorrectly. So it is important for parents to buy car seats that are easy to use. Do Car Seats Have Expiration Dates? All car seats manufactured today have expiration dates. To check the expiration date of your car seat you will need to find the correct label which will usually be located either somewhere on the bottom or on the back of the seat. Look for clear language such as Do Not Use after such and such a date. If you are unable to find the label, or if you are not sure, consult your owner’s manual. If you still cannot find the expiration date you should call the manufacturer and ask. Car seats are not meant to last forever, and they don’t. Even if a car seat looks perfectly okay, if it has reached its expiration date it is unsafe to use and it is absolutely time to dispose of it. Car seat materials degrade over time. The plastics break down and can even develop small fractures that may be too small to be seen by the naked eye. Straps can loose their elasticity. These seats can break apart in an accident. So it is no joke. If your seat has expired it is definitely time to get rid of it. How Do I Dispose Of My Car Seat? If your car seat was involved in a moderate to severe crash, if it has broken or missing parts, or if it has reached its expiration date it is time to dispose of it. The first thing you will want to do is to cut the straps. It also an excellent idea to destroy the seat as much as possible. Remember, some expired car seats may look okay. The last thing you want to have happen is for someone to remove your expired car seat from the trash, thinking that it is okay to use, and put another child at risk. Can I Recycle My Old Car Seat? It may be possible to recycle your car seat, or at least some parts of it. Search online for “car seat recycling programs” or “car seat recycling 2015” or try calling a local recycling company in your area. How Many Years Of Use Can I Expect To Get From My Convertible Car Seat? If you buy a convertible car seat for an infant or a newborn you could conceivably get up to 6 years to 8 years of use. We are not saying that your car seat will last that long, but it could. Why do we say 6 to 8 years? That’s because most convertible car seats have an expiration of between 6 to 8 years as set by the manufacturer. Some seat models have an expiration up to 10 years although your child could outgrow it before then. What Is The Advantage Of Buying The Newest Car Seat Models? You should always buy the newest car seat model you possibly can. There are two reasons for this. First, car seat manufacturers are constantly improving safety features so the newest models will have the most advanced safety features available. Second, the manufacturer’s expiration date does not start from the date of purchase; it starts from the date of manufacture. So if you buy last year’s model you will lose a year of usage. How Do I Know If My Car Seat Is Installed Correctly? Installing your car seat correctly is paramount to your child’s safety. Each situation is different. You will need to follow the instructions in your car seats owner’s manual and also consult the portion of your vehicles owner’s manual on restraint systems. In general, once secured, your car seat should not move front-to-back or side-to-side more than one inch. NHTSA has produced some helpful instructions and videos on installing car seats. You can find that information here. Finally, did you know that you can very likely get your car seat inspected free of charge by a certified technician? They can tell you, and show you, how to correctly install and use your car seat. Many times you can have this done for free at your local police department. Here is an easy to use resource for locating a free car seat inspection station. Simply type your zip code into the provided box and find where to go in your area. Before picking up a convertible seat, go through various features, safety aspects, designs, ratings and then choose the one which suits your needs. We have provided you with a comparison guide which will help you narrow down the products, fit for your requirements. Take out time to read convertible car seat reviews of 2015 and user preferences. The whole process will ensure that you get the best convertible car seat for your tot. In the end, we wish you happy and safe traveling with your family.